Your home or office’s heating and air conditioning system should keep you comfortable all year round. There’s nothing worse than having to wear layers inside, or not being able to sleep because its so hot. Depending on the time of year, your home either needs to be warmed up during the winter months or cooled down during the summer. It is important that you have proper Heating and Cooling methods in place in order to ensure that your home maintains a comfortable temperature all year round. Homeowners rely on their HVAC (Heating, Ventilation, and Air Conditioning) unit to keep the temperatures in their home just right. It is your HVAC unit that helps to circulate cool air through your home in the warmer months and to heat up your house when it gets colder. Does your furnace need servicing or replacing? Radiant Floor Heating System is one of the most energy efficient ways to heat your home. Looking to switch your home to natural gas heating – you’ve made a great choice for making your home more energy efficient – gas furnaces, hot water tanks, fireplaces, ovens, barbecues and even gas air conditioners can save you $100’s on your monthly heating expenses. As long as the natural gas line from the city has been run up to your home, we can run the lines inside your home to all your new appliances. Live in a sweltering apartment or house without a/c. Ductless is the perfect solution for your home. Tankless water heaters give you instant hot water only when you need it. A clean and comfortable home is more important than ever before. In a time when allergies, sickness, mould & fungus seem to be more prevalent, your home’s air quality is your first line of defense against invading pathogens. Heating Ontario’s crews go beyond competitor standards to make sure your home’s heating is safe, sanitized and running efficiently, so you can sleep great at night. If for any reason you aren’t happy with our heating and cooling services please contact us. We want to make it right, and as you will see from our hundreds of satisfied customers, we do a great job of doing that. 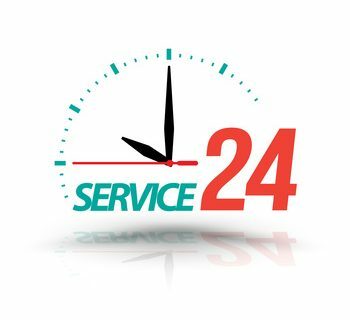 We know that you’re going to talk about the service you received so it’s important to us that you have a wonderful experience with your entire service. 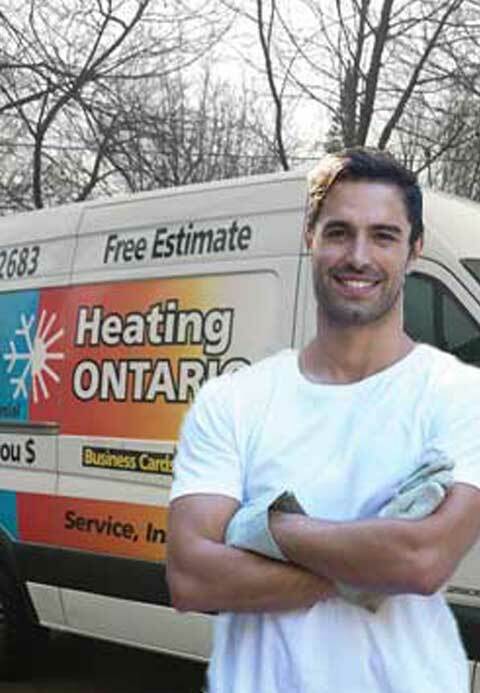 At Heating Ontario, we handle all of your Heating and Cooling needs. If you are looking for a professional to make sure that your air conditioner is running properly, or if you have concerns about the efficiency of your furnace, we can help. Make sure that your home is comfortable. Rely on one of our experienced staff members! 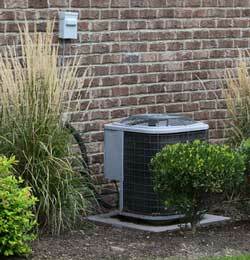 We understand the best Heating and Cooling methods for homes all over Toronto and the GTA. What Condition Is Your Furnace In? Adequate heating is essential…especially if you want to get through those seemingly endless winter months. To heat your home when the weather starts to get colder, you will need to have a well working furnace. If you’re unsure whether or not your furnace will be able to make it through the winter, ask yourself: How old is your furnace? When is the last time that it was looked at? These questions may indicate that you should have routine maintenance performed by a professional. They may suggest that if your furnace is older than ten years, it may be time to get a new one. This is because the average furnace lasts between ten and fifteen years. After that point, they will start to need more and more repairs – and may even break down right in the middle of winter. To make sure the heating in your home is working properly during the winter months, contact a professional heating expert. The day before I was supposed to go on vacation, my furnace stopped working. It didn't help that it was in the middle of a snow storm. Murphy's Law. I swear I couldn't make this up. I called Heating Ontario, and they went out of their way to rush a technician to my house for a diagnostic within 30 minutes. Once they determined the problem, they drove to get the part from Scarborough and back by the afternoon. Problem was solved same day, and now I don't need to worry about going on vacation. Jamie was the technician, and he was extremely pleasant, and knowledgeable. Really nice guy. He explained what I could do in the future to prevent the problem from happening again. I couldn't be happier with their service, and will happily be calling them again if I need anything in the future. Thank you again!!! Our radiant floor heating has been a huge asset to our home.We love the way each room feels.They helped us come to a decision about our heating system.The staff really took the time to walk us through our options.The whole family is very happy with the results.